Chinese manufacturers are outgrowing the phase when they were mere OEMs or original equipment manufacturers, or contract suppliers, for foreign companies; they are evolving into global-scale manufacturers in their own right by investing more in research and development. Suzhou-based Ecovacs Robotics Co, China's largest in-home robotic products manufacturer by market share, exemplifies this trend. It is all set to export its smart vacuum cleaners to markets related to the Belt and Road Initiative, having established a strong presence in developed economies such as the United States, Germany, Italy and Japan. David Qian, vice-chairman of Ecovacs, said many opportunities come from consumers' growing income, and rapid development of modern infrastructure and internet facilities in certain economies. This is particularly true for the Middle East and Southeast Asia, especially in countries such as Thailand, Singapore and Malaysia. Growth opportunities are arising from both online platforms and retail channels. 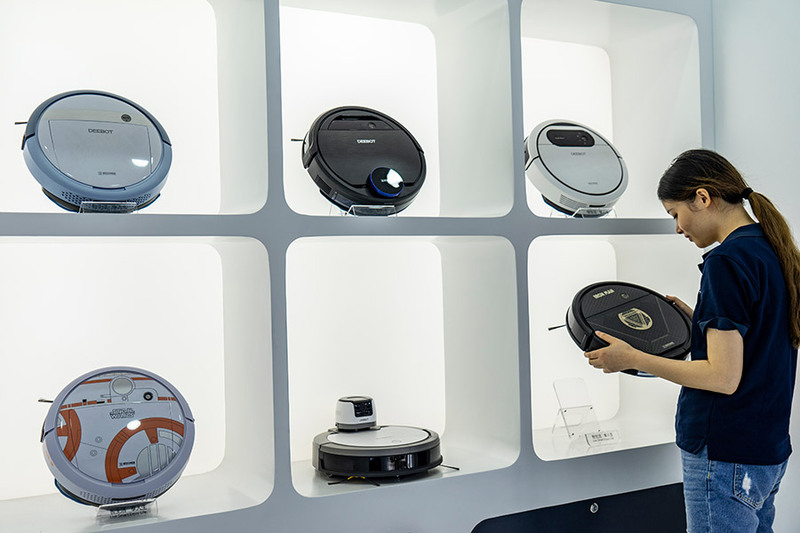 Thanks to people's growing demand for robots that can perform tasks like cleaning the house, and free up some time, the company saw its revenue from service robot sales grow by 52 percent year-on-year to 2.87 billion yuan ($420 million) in 2017. Over 20 percent of its revenue came from exports. Qian plans to increase exports so they can generate 30 percent of its total revenue by 2020. "We use customized products in different markets. For instance, the smart robot vacuum cleaners we sold to the US have to be equipped with large-capacity batteries as American homes are relatively larger than those in many other markets," said Qian. "Because of space limitation, we also found that low-noise robot vacuums are fairly popular in East Asian countries." Qian, who majored in sociology and graduated from the University of British Columbia in Vancouver, said the company will continue to find competitive advantage in product diversity. Lower-noise, high-end battery-powered products, sensor applications, affordable prices and longer warranty are what will make the company competitive against established global rivals such as iRobot and Neato. Unlike its main competitors that outsource or contract out manufacturing, Ecovacs is a vertically-integrated company. It does it all: research and design, manufacturing, marketing, sales and support. The company spends nearly 4 percent of its revenue annually on research and development, and operates two research facilities in Nanjing (which is focused on artificial intelligence and robots) and Suzhou. In addition to shipping smart vacuum cleaners to various overseas destinations, Ecovacs produces window-cleaning and air-purifying robots. Besides, it makes home entertainment and security robots that read out or display news and weather bulletins, enable home patrols via live video streams and detect potential dangers such as smoke or suspicious movements. The company plans to export them sooner or later. "As floor- and window-cleaning robots have already become everyday necessities, like washing machines in many developed countries, the future domestic robots will be more intelligent. Robots that just clean floors won't be enough," said Qian. "While making robots versatile, it's important to ensure they are easy to use." Since 2016, the company has introduced or upgraded a number of its robot products that clean floors, control home appliances, monitor households and purify air. Qian said China's consumer base, fast-growing internet of things, or IoT, technologies, 4G and 5G networks will help the company to build a solid foundation for more innovation. That would mark a long journey that started in 1998 when Ecovacs started as an OEM of traditional vacuum cleaners. But the Chinese company always aspired for higher things. 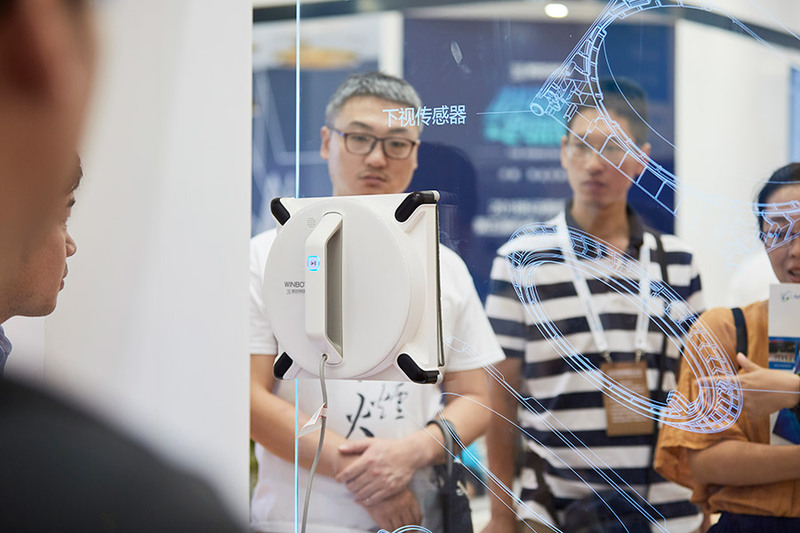 For seven years, it researched and experimented with home robotics, and its first floor-cleaning robot debuted in 2007, and proved to be a runaway success in the China market. In 2012, the robot-maker decided to venture beyond China and established three international subsidies in San Francisco, Dusseldorf in Germany and Tokyo. Supported by over 6,000 employees, the company currently operates four plants in Suzhou and Shenzhen, and several branches around the globe, including Spain, France, the United Kingdom, and Hong Kong. That kind of global footprint is in line with worldwide sales of privately used service robots, which are estimated to reach 35 million units by this year-end. Household robots will be right at the top of the future shopping lists of consumers, according to data from the Germany-based International Federation of Robotics. "The commercial market for household robots will be attractive in the long run, especially for small businesses working in the catering industry, which is facing labor shortage as well as wage rise in both China and abroad," said Sun Fuquan, a researcher at the Beijing-based Chinese Academy of Science and Technology for Development. Given global market demand, many Chinese companies have gradually shifted their focus to high-end industrial research and development. This has led to strong technical breakthroughs in high-tech sectors such as robotics, computers, telecommunication and in upgraded consumer electronics products, Sun said.